I bought this item for my wife as an anniversary present. She was more than delighted. Having owned a similar brush several decades ago, she knew that the quality, longevity, ease of use and convenience – small and easily carried – were second to none. Now I have done myself a dis-favour because I cannot think of anything better, more appreciative or more useful that will last for decades that I can buy her for next year!!! I have this product in the spray version as well as the tube. I prefer the tube for ease of application during a changeable Scottish Summer but the spray for holidays when looking for all over protection. The back of the packaging says this product is “very very” waterproof and they are not wrong! On first arrival I popped some on my sons arm for a patch test and rubbed the excess into my hand. Next time washing my hand the soap wouldn’t take, and water sat like a bead on my hand. This was a similar story on next few hand washes. My little boy has eczema and is intolerant to sun, he takes prickly heat and the rest on very little exposure and has reacted with a rash to 4 other “sensitive” sun lotions. He did not react to this lotion I am very pleased. It has a very delicate smell that I think is quite nice, I think this is coincidental to ingredients. After just a few weeks of using Clarins Gentle Exfoliator I could notice a significant difference in the condition of my skin. This product is so effective on dull, tired skin. I have combination/dehydrated skin and this fresh formula really brightens the skin and preps the skin for make-up application, allowing the make-up to sit much better on the skin. I also find it doesn’t leave the skin feeling sticky or tight like I find with a lot of toners. I have suffered from very dry and cracked lips for much of my life. It doesn’t help that I have a lot of lip and have searched far and wide for a nourishing but affordable lip conditioner that works. I have tried many of the well known brands but none have worked. My search is finally over. This lip conditioner is highly moisturising without being overly greasy. It has a lovely but not overpowering fragrance. Best of all I don’t get that white gloop in the corners of my mouth after use that I have experienced with pretty much every other brand I have used. This can only be described as a little miracle for my lips. It’s easy to apply with its lipstick shaped applicator and at this price I could have another five. Fantastic value for money and superb quality. I am very prone to oily skin, and have spent my whole skincare life trying to find a good moisturiser that hydrates but doesn’t make me oily and shiny. Hydrabio Light is The One. Since I started using it about a month ago, it feels like my skin has been resurfaced- it is smooth and nicely plump, but only feels oily to the touch at the very end of the day, as opposed to before midday with a lot of so-called oil-reducing products. Hydrabio doesn’t even promise to reduce oil…it just does! I bought this because of the fruit acids it contains. I read in a magazine that AHAs were the right thing to use to try to get rid of those irritating white spots that clog your pores. I suddenly developed these on my cheeks a couple of years ago and nothing I did seemed to shift them. I tried this product and used it as per instructions (once or twice a week) but it didn't make any difference. I THEN DECIDED TO USE IT EVERY DAY AND .............IT WORKS! I have combination skin. It may be too harsh to use it daily on dry skin. Clarins also warn against using the product if planning to sun bathe. (I live in Scotland: sun exposure is not a problem!) I will continue to use this product. It's magic! The texture at first is rather surprising. I expect a toner to feel refreshing. This isn't. It is thick and gloopy and feels very sticky. However, it dries very quickly and does not leave a residue. I only use it at night. I tried it once in the morning, but as I wear foundation most days, it was not a good idea. Makeup tends to flake off. I suspect that twice a day might be too much anyway. If you are looking for a result, this is it. I can't believe how much my skin has improved. 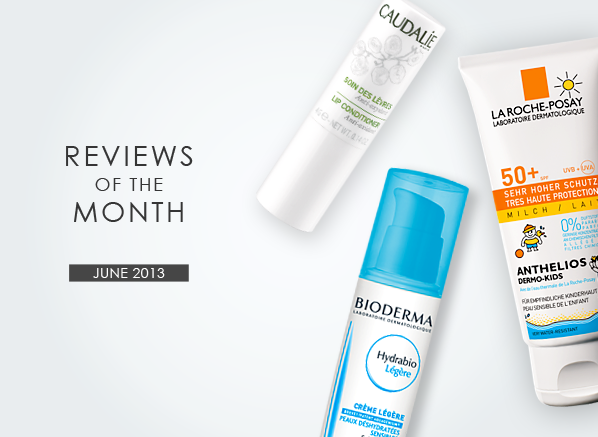 This entry was posted on Monday, July 1st, 2013 at 2:30 pm and is filed under Haircare, Reviews of the Month, Skincare. You can follow any responses to this entry through the RSS 2.0 feed. You can skip to the end and leave a response. Pinging is currently not allowed.